Week five is over and the newness of the year has started to wear off. Things are starting to be routine and in some respects that is a good thing. In other ways, it is a challenge. Sitting in my little house in my ordinary neighborhood surrounded by empty houses and no other homeschoolers, how do I stay motivated? This question rattles around in my brain every week, especially now that I have high schoolers. How do I keep up the energy, the passion, the enthusiasm after all these years? The answer dawned on me today as we were working through our morning. Although sometimes it is just a matter of gritting your teeth and powering forward, there are things you can proactively do to keep yourself upbeat and positive. After goal setting, keeping things fresh in my mind is the best way to keep motivated. I have written a lot lately about how I decide on goals, why I have goals, and how we work on our goals in increments. Those goals can seem a long way off sometimes and I can’t see the progress in our weekly work. Writing, science, math, nature study, art skills, and everything else just seem like mountains that I need to climb each year. Sure, now that the boys are in high school those mountains now have little mountain passes and the paths are well worn but there are still peaks to scramble up. I have found that keeping myself motivated with a fresh sense of enthusiasm is vital to keeping our homeschool from becoming stale and boring. How to Keep Things Fresh….Some examples from our week…..just some ideas to get you started. 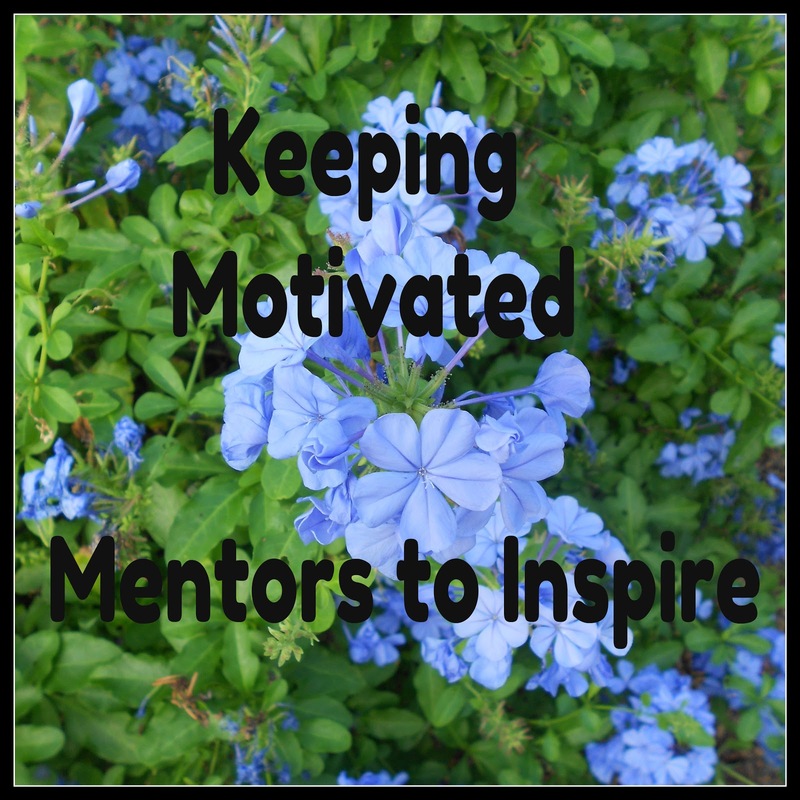 Writing: Can I just say that having a mentor for writing has helped beyond my expectations? I heard Andrew Pudewa speak at a homeschooling convention three summers ago and it changed my way of thinking about writing. I purchased the DVD set Teaching Writing: Structure and Style and I have just finished my third time watching it. Every viewing gives me some new ideas and concrete ways to help my boys with their writing style and skills. It was a lifesaver this week in connection with our formal writing piece. Good curriculum can act as a mentor as well. Tapestry of Grace has been great at mentoring my way of teaching. Susan Wise Bauer and The Well-Trained Mind have inspired me to be a better teacher. Anything that helps you step up your skills as a teacher can keep you motivated to keep going. Physics: Jay Wile has become our science expert. Learning about vectors in a hands-on activity made the difference this week and brought our algebra study into focus. I actually heard my son say that he remembered this idea from his algebra text and now he gets it. Experts can be found in books and in real life. We have also found the Teaching Company DVDs to be an outstanding source for finding experts on a variety of subjects. There is nothing like learning a subject from someone who really knows their stuff and can share their expertise in a way that inspires you to know more. I dare you to view Elizabeth Vandiver’s lecture series on the Iliad and not walk away with your head held a little higher. 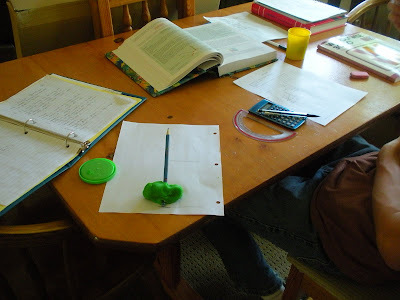 Math-Geometry and Algebra 2: Although with our math programs I really don’t need to participate at all, I find that to keep things fresh and upbeat, I need to dial in with the boys. This is hard math and they cannot be expected to stay motivated all on their own. I took both these subjects in high school but we won’t even mention how long ago that was but it was in a different decade and century. Motivation to keep going in math is not about test scores but about achieving the skills in increments and realizing that what you thought was hard last month is now a piece of cake. Celebrate the achievements. You will not be able to find passion in everything you teach but there absolutely will be things you find that excite you and amaze you. 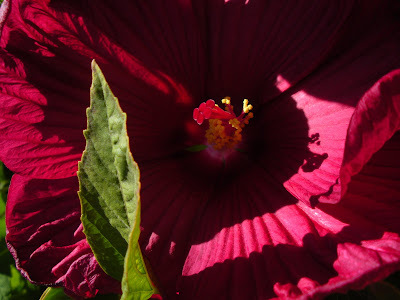 Most of my readers know I have two areas of passion: art and nature study. Find your passion and tap into it. Share it with your family. It is an incredible way to keep everyone motivated. Sometimes your family will think you are crazy but being passionate will begin to spill over into their lives as well. I realized this week that my youngest son is trying to memorize his focus piece from his music appreciation plans. Let’s just say that there is a lot of Tchaikovsky playing around here. This is a goal he came up with on his own and that makes it even more special as I watch him find joy in an area that I find great joy in as well. I try to keep a library of things to draw from when I need a little boost. We live in a wonderful age of technology so take advantage of everything you have at your fingertips. 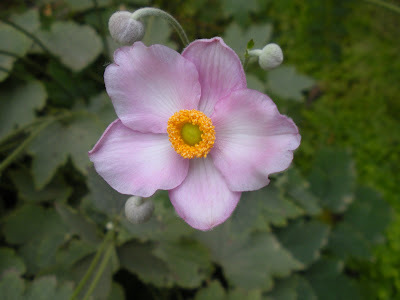 Homeschooling blogs abound with wonderful ideas with real people and real children. Just like you can have a library of books on a favored topic, keep a “library” of encouraging blog posts. I print inspiring posts out and file them in my planning binder. I also have seminars on CD to listen to from favorite speakers. These are worth every penny I spend in motivation value. Podcasts, Yahoo Groups, YouTube, iTunes, online co-ops, Blog Carnivals, and so much more can not only keep you motivated but give you fresh reasons to keep on homeschooling in a creative and inspired way. There is no isolation in the modern world and the online community is as big or small as you make it. Many times when I am feeling sort of down about homeschooling, I pull out my trusty scripture notebook where I have filed a list of scriptures that give me the motivation to keep homeschooling. My list is ever growing and if you start with one scripture a week, you will soon have a whole pageful to lift you up. Prayer and family Bible study are mainstays of our day and it motivates us all to do better not only in our schoolwork but in our relationships. After all, we can not spend this much time together without really working on qualities that will keep us happy as a family. When the school books are put away at the end of the day, we want to know that we have encouraged each other in some way. I was sick with a cold this week and the boys spent a lot of time doing little things for me like bringing me tea and tissues. They were diligent about their schoolwork even when I had to spend some time napping on the sofa with a blanket. Their good qualities motivated me this week more than anything else. For those of us who live in areas where there are few homeschooling families and no local homeschooling groups, keeping motivated is as vital as the curriculum. Perhaps you can come up with your own personal set of motivators. I would love to hear what keeps you going when the days are long and the material is hard. I am so glad you share these kinds of posts as well as everything else that you do. You are a wonderful encourager!!! Another ‘poured your heart out’ post! Barbara, I love the list you included. I think, right now, YOU are my mentor! You have ideas that make me just sit back in awe! I feel like just implementing the Nature Study Challenges into our school day has been a huge motivator. I love that there are enough to choose from, so that if I (or we) get bored, I can just scan the list for something as a pick-me-up! You are now known around the house as my Nature Study friend! Thanx for keeping ME motivated! That empty neighborhood and no local groups got in the way for my daughter for sure. Great post–even if you are not homeschooling. Next time we see each other, I’ll bring the chocolate! You are one of my mentors, too. I thank you for this blog and for all of the wisdom and PASSION that you share! I want to surround my daugther with passionate people & teachers… and I want to be an example of passion to her. Thank you for your encouraging words! I’ve been thinking about your post all day on and off. 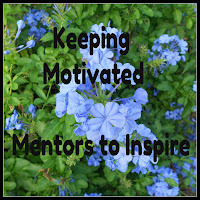 Homeschooling is a LONG journey and keeping motivated is a challenge. Barb you help keep me motivated,even without having ever met me, you encourage me and remind me of why we are learning at home as a family–thanks. What great ideas! Thank you for sharing them last week at Trivium Tuesdays!